Thaw and peel shrimps. Scoop out the dragon fruit with a spoon without breaking it and cut into cubes. Cut mango into cubes. 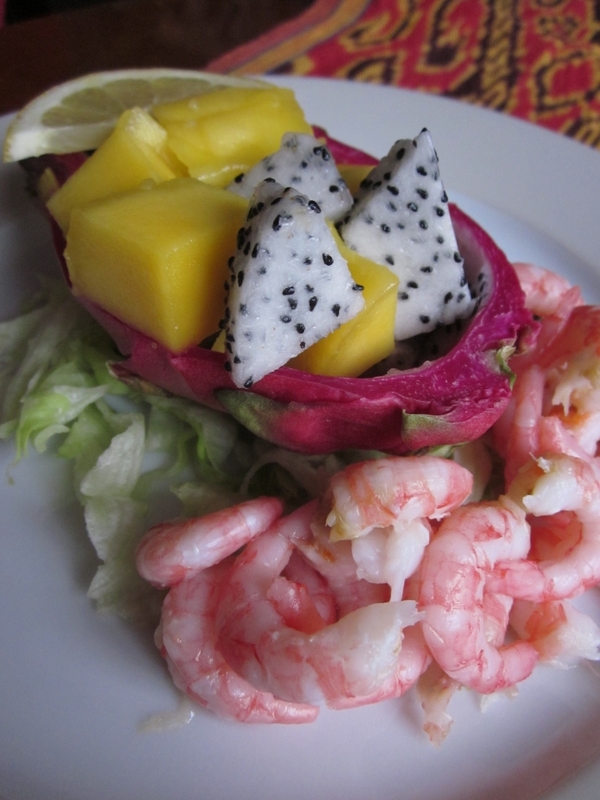 Mix mango and dragon fruit back into the dragon fruit boat. Place that on top of the chopped iceberg salad and serve with cold water shrimps.